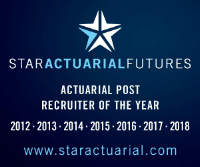 Qualified GI Actuary required to cover a 12 month maternity contract. Work will include developing the IM, managing a small team, model runs, documentation, analysis, SII compliance etc and looking at methodology and infrastructure changes as well as ad-hoc project work as required. A high profile role visible across the entire business.